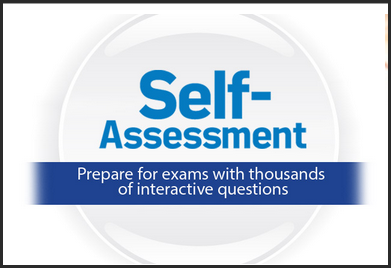 The Access Medicine database includes a section for self-assessment. Interactive questions from the clinical library (pulling content from Harrison's Internal Medicine and Williams' Obstetrics) and the many titles in the Lange's educational library let you practice for exams. You'll need to register with Access Medicine to be able to test yourself. If you haven't registered already, create a username and password while you're on a CBU computer. After your initial login (done while on campus), you'll be able to login from anywhere.